Over the weekend we had a free day. We decided to take the kids to the beach before Spring Break hit and things get extra crazy! 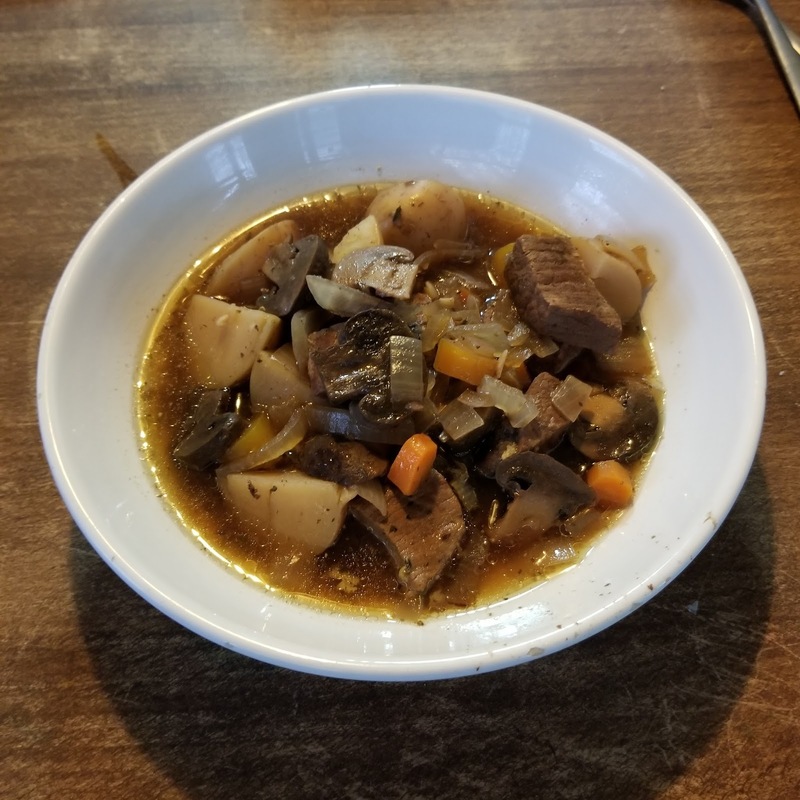 We had everything we needed to make a Beef Stew, so my wife got out the Crock Pot and got everything ready and had dinner ready for us when we got back! 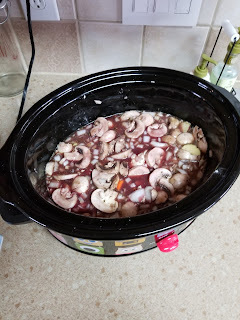 I wanted to call this Beef Bourguignon, Slow Cooker Style, but I think Julia Child would have rolled over! Once everything is prepped, put it all in the Crock Pot and let it do all the work! Let it cook 6 to 8 hours on low while you enjoy the day!